We are very pleased to announce that Annie has recently agreed to become a Consumers and Communication Review Group Editor. Anneliese Synnot has been a valued member of staff at the Centre for Health Communication and Participation, the home of the Group, for the last five years, most recently filling in for Rebecca Ryan while she was on maternity leave. We also welcome Molly O’Sullivan to our team. Molly is a part-time Master of Public Health student working with Sophie and Annie on our priority-setting project (see below). Molly will be identifying the criteria in the area of communication and participation that can be used to rank the priorities for Australian systematic reviews. She will also be helping Annie & Sophie with the online survey and the face-to-face workshop. Molly also works as a clinical trials coordinator with the Murdoch Children’s Research Institute in the Allergy & Immune Disorders and Developmental Disability & Rehabilitation research groups and as a project coordinator in the Population Health Studies of Adolescents research group. Two of our editors have recently welcomed new babies into their families. 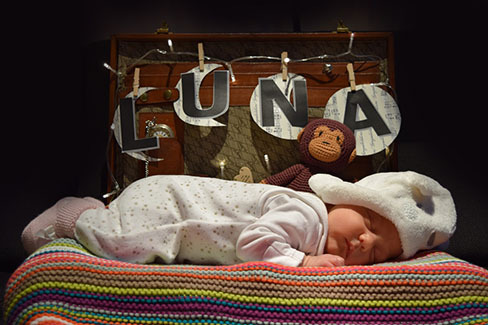 Gian Luca di Tanna, one of our statistics editors, has a new daughter, Luna Maria, and Ruth Stewart recently gave birth to Isabella Grace. We congratulate Gian Luca and Ruth and wish them and their families all the best. Congratulations are due to Dianne Lowe, one of our PhD candidates. Dianne was lead author on a paper that was awarded the 2nd prize in the Review Group of "International Journal of Environmental Research and Public Health Best Paper Award 2015". Citation: Dianne Lowe, Kristie L. Ebi and Bertil Forsberg. Heatwave Early Warning Systems and Adaptation Advice to Reduce Human Health Consequences of Heatwaves. International Journal of Environmental Research and Public Health 2011, 8(12), 4623–4648; doi:10.3390/ijerph8124623. Available online: http://www.mdpi.com/1660-4601/8/12/4623. As announced in our last newsletter, in 2015 we are undertaking a major review priority-setting project. We aim to prioritise up to five new topics for Cochrane reviews on consumer and communication topics. We anticipate the results will feed into future iterations of the top 300 priority Cochrane reviews recently identified by Cochrane for the organisation as a whole. We are pleased to advise you that our project has officially started! We have had a number of meetings with Australian and international colleagues to refine the project methods and are in the process of convening the steering group. We have invited consumer representatives, policy makers, health professionals and researchers to join the steering group and will hold the first meeting in March. We have also set up a web page that provides more detail about what we have planned (see www.latrobe.edu.au/chcp/projects/research-priority-setting). We will post regular updates on this page and share project results. If you would like to get in touch about this project, please contact Annie Synnot at a.synnot@latrobe.edu.au or +61 3 9479 1086. The Centre for Health Participation and Communication has a new and updated website, with a new URL: www.latrobe.edu.au/chcp. The Consumers and Communication Review Group website will also be updated shortly, but will remain at http://cccrg.cochrane.org/. Citation: Coulter A, Entwistle VA, Eccles A, Ryan S, Shepperd S, Perera R. Personalised care planning for adults with chronic or long-term health conditions. Cochrane Database of Systematic Reviews 2015, Issue 3. Art. No. : CD010523. DOI: 10.1002/14651858.CD010523.pub2. For more information, see the full review on the Cochrane Library (http://bit.ly/18SbG0S). Citation: Goyder C, Atherton H, Car M, Heneghan CJ, Car J. Email for clinical communication between healthcare professionals. Cochrane Database of Systematic Reviews 2015, Issue 2. Art. No. : CD007979. DOI: 10.1002/14651858.CD007979.pub3. For more information, see the full review on the Cochrane Library (http://bit.ly/1LJwx49). Citation: Henderson A, Henderson S. Provision of a surgeon's performance data for people considering elective surgery. Cochrane Database of Systematic Reviews 2015, Issue 2. Art. No. : CD006327. DOI: 10.1002/14651858.CD006327.pub3. Review question: We reviewed the evidence about the effect of providing information about a surgeon's performance to people who are thinking of having elective surgery. Elective surgery is defined as "surgery of a non emergency nature; although recommended, it can be scheduled in advance without affecting the health of the patient or the expected result of the procedure" (Dox 2004, p. 452). Measuring the performance of surgeons is generally thought to be a good practice that will result in better surgical results. Providing information about the performance of individual surgeons is more controversial and it is not clear what effect giving consumers this information might have. We wanted to discover whether there was any evidence about the effect of making data about a surgeon's performance available to people who are thinking about having elective surgery, compared with people making similar decisions without this information. There have been studies on ways of collecting and reporting information about the performance of surgeons, but we did not find any studies published before March 2014 that looked at the effect of this information on consumers. This lack of evidence may reflect the practical difficulties and ethical issues involved in researching this topic. For example, surgeons might not be willing to take part in such studies. There might also be legal or ethical problems with providing only some patients with information about a surgeon's performance. However, it would be helpful to have more information to inform debate on this topic. Qualitative studies are needed that explore the attitudes of consumers and professionals towards providing this type of information, and their beliefs about potential effects. For more information, please access the full review at http://bit.ly/1DVgwUb, or contact the Cochrane Consumers and Communication Review Group. Duffy JMN, Mylan S, Braddy A, Eyo MM, Rolph R, Showell MG, Cushing AM, Khan K. Consumer-delivered training in intimate examination skills for healthcare students and professionals (Protocol). Cochrane Database of Systematic Reviews 2015, Issue 2. Art. No. : CD011524. DOI: 10.1002/14651858.CD011524.